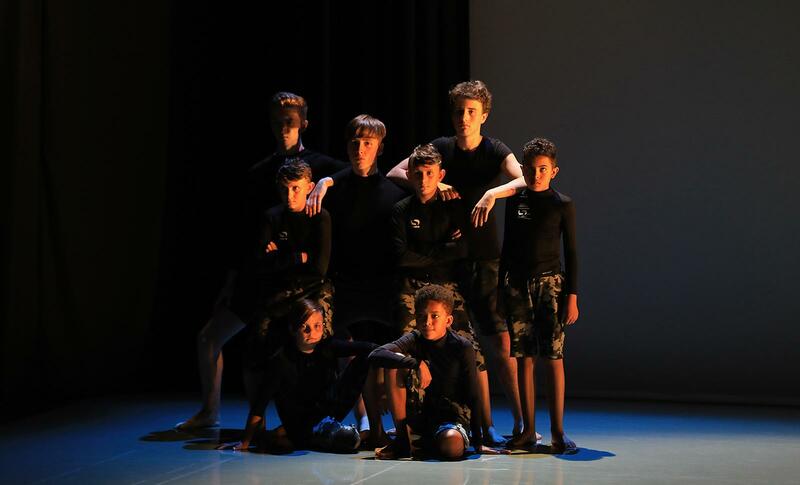 Kick Off Boys Youth Dance Project, a joint partnership between Northern School of Contemporary Dance (NSCD), Dance Action Zone Leeds (DAZL), Phoenix Dance Theatre and Leeds City College, has been shortlisted for the 6th Child Friendly Leeds Award in the Youth Group of the Year category. A record number of nominations for the awards were received this year, with just under 600 nominations being made across the eight categories. The annual awards ceremony will take place in February, and will celebrate all the work that is happening across the city to make Leeds the best place for children and young people to grow up in. The prestigious city-wide event is being planned by a group of 13 young people called The Dynamics. They have been working hard to organise every aspect of the awards, including merchandise, venue décor and selecting the young performers from Leeds who will entertain guests on the night. The Dynamics will also be the hosts of the evening. Kick Off Boys Youth Dance Project started as a pilot in 2016 between Northern School of Contemporary Dance and DAZL. The small-scale pilot project worked with 10 boys from varying backgrounds across Leeds. Following the pilot’s great success, in 2017 Phoenix Dance Theatre and Leeds City College also joined in partnership on the project. To find out more about the group, visit the NSCD website.